Located on the edge of Red Square and just a stones throw from the Moscow River, Saint Basil’s Cathedral is one of the most recognized churches in the world, second only to St Peter’s Basilica in Vatican City. Officially known as the Cathedral of the Intercession of the Most Holy Theotokos on the Moat (Собор Покрова Пресвятой Богородицы, что на Рву), this incredible church/museum is used as a backdrop anytime a movie wants to let the viewer know they are in Russia. Built between 1555 and 1561, Saint Basil’s is unlike any other building in the entirety of Russia, and with it’s design provoking the image of flames reaching into the sky, it is unique throughout the world. Constructed under orders from Grand Prince of Moscow, Ivan IV Vasilyevich (better known as Ivan the Terrible or Ivan the Fearsome) to commemorate the capture of Kazan ans Astrakhan, the 16th century landmark has served as a state historical museum since 1928 and a UNESCO World Heritage Site since 1990. 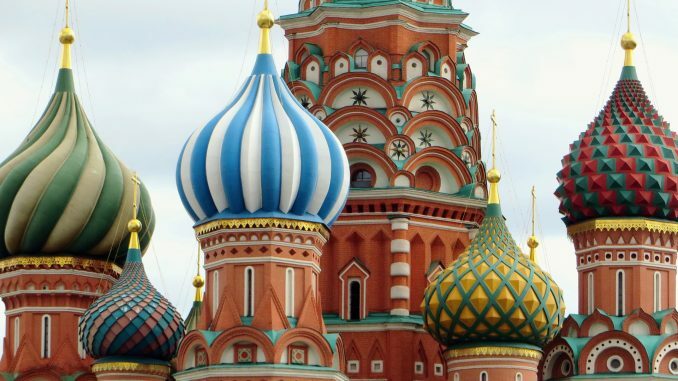 Several times throughout history Saint Basil’s cathedral has narrowly escaped destruction. When Napoleon Bonaparte envisioned taking the entire cathedral apart and moving it to Paris, but this proved impossible at the time. Joseph Stalin demanded its destruction but one of his architects stood on the cathedral steps defiantly and refused to allow it to be demolished. As well as having survived attempts to destroy the cathedral with explosives (that time it was saved by heavy rain) the structure somehow evaded the numerous fires that ravaged Moscow throughout the ages. 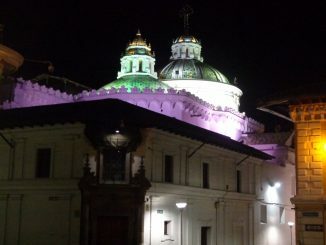 The bright colors of the cathedral were not added for more than 200 years after its completion. Saint Basil’s has been a museum and tourist attraction since 1929 when it was confiscated by the state after the Bolshevik Revolution. Before being painted, the domes were gold. Starting in the 17th century, the façade and domes were painted the vivid colors seen today. Confiscated by the state after the Bolshevik Revolution, Saint Basil’s has been a museum and tourist attraction since 1929. Every October the cathedral hosts a service in honor of the Day of Intercession. 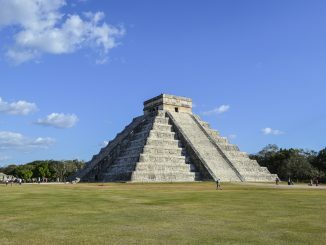 It is one of 16 UNESCO cultural sites in Russia. St Basil’s Cathedral is actually nine churches connected with galleries and passageways. In the 16th century the basement was used to store savings of the city’s wealthy residents and the church coffers. The cathedral’s belfry is still operational but only one bell remains. 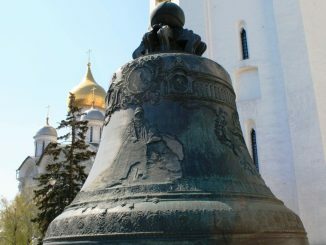 In 1929, the Soviet authorities ordered that the bronze bells be melted down. The Kremlin and it’s grounds are closed on Thursdays. It does get as cold as it looks so be prepared if you’re there in winter. Do not under any circumstances try to outsmart security. If you do try, be prepared for serious bodily harm to take place. Security at the Kremlin consists of serious people doing serious work, and they don’t want to joke around with tourists trying to be funny. Like most places that attract tourists from around the world it is wise to arrive early. The least expensive tickets are those for the Patriarch’s Palace and Ivan the Great Bell Tower. These tickets will allow you the opportunity to roam the grounds and see many of the sites from the outside.